Woodstone Renovation has over 30 years experience custom building and remodeling homes that perfectly reflect the homeowner's personal taste and lifestyle, while maximizing efficiency of all living spaces and complimenting architectural style & surroundings . We are committed to building lasting relationships with our clients, subcontractors and community, Our business practices encourage thorough, efficient daily communication, distinctive design that maximizes functionality while hiding technology, and quality custom craftsmanship to last a lifetime. AMEK Custom Builders is a local Minneapolis and St. Paul, family-owned and operated business founded in 1996 by brothers Matt and Andrew Schmidt, later joined by brother Paul and father Mark. AMEK’s focus is design-and-build residential projects from remodels to additions to custom homes — as well as custom exterior renovations. Let us make your project the most important one AMEK Custom Builders has taken on. Contact us today to discuss how we can bring your dream home. Andrew and Matt came up with the company name AMEK when they were still just dating their wives. A-Andrew, M- Matthew, E- Emily, and K- Kristina. The joke was that if they didn’t get married to them, they would be limiting their field of potential wives to names starting with an E or K! Constructive Builders offers a positive building experience for you, our community and our planet. We complete residential design, remodeling and new construction throughout the Minneapolis and St. Paul area. We also offer real estate services for finding fixer uppers, lots or tear downs. Our expertise is excellent service, top-quality carpentry, beautiful tile, and timeless hardwood floor installation and refinishing. We have experience with remodels and new construction of all sizes and budgets, though we are especially well-suited for picky types who care a lot about the quality of the finished project. Whether or not you care about green building, we do. That means that we recycle or re-use materials whenever we can; we advocate for better efficiency materials; we provide thoughtful expertise before advocating for huge additions, and we prefer to build things that will stick around long-term vs. short-term solutions. If you'd like specific green building elements, we'd be happy to work with you! We offer free estimates after a short call, and frequently work with our customers to align wish lists and budgets. Visit www.constructivebuilders.com for more photos and details. General, or construction contractors, are often known as project managers. They oversee the entire remodeling or new home construction project and facilitate all day-to-day tasks that move it toward completion. A Stillwater general building contractor will work with your architect to review plan as you build a house and ensure everything is in place before work is started as well as arrange for permits and necessary inspections. While good local home improvement contractors in Stillwater will have the skills to handle certain tasks onsite, such as carpentry, he or she is also responsible for hiring subcontractors for the majority of jobs, such as electrical work, painting or plumbing. In addition, the general contractor should be on-site regularly to inspect the progress and resolve issues. Here are some related professionals and vendors to complement the work of general contractors: Architects & Building Designers, Interior Designers & Decorators, Landscape Architects & Landscape Designers, Kitchen & Bath Designers, Specialty Contractors. Home remodeling contractors are a must for successful completion of a renovation. Because of this, it's essential that you do your homework before deciding on the right general contractor in Stillwater as you remodel or build a house. Inspect bids carefully. Was it ready when the contractor promised it? Was the bid for building a home unusually high or low? Each of these things can be very telling: A late bid may reflect timing standards, and an off-the-mark bid could be code for a pricey premium or a deliberate underbid to score the remodeling job. 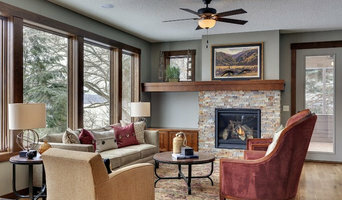 You should call references, carefully read reviews and visit completed projects in Stillwater, MN to see if they’re what you expect for your job. Once you do secure your local Stillwater contractors, read the contract very carefully to be sure everyone is on the same page. Find a Stillwater contractor on Houzz. 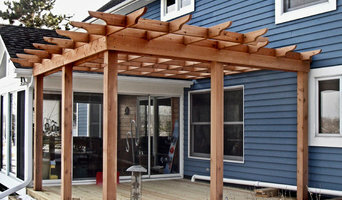 Narrow your search in the Professionals section of the website to Stillwater, MN home contractors. You can also search for photos in Stillwater, MN and contact the Stillwater general contractor who worked on the project.